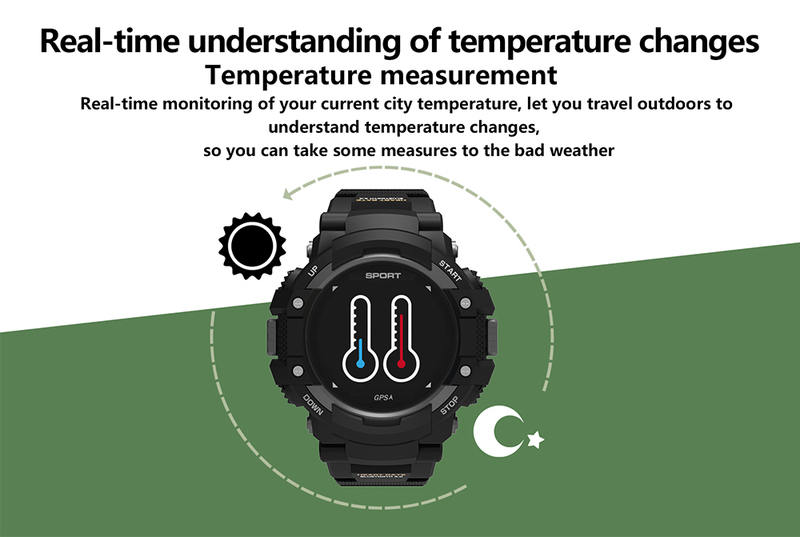 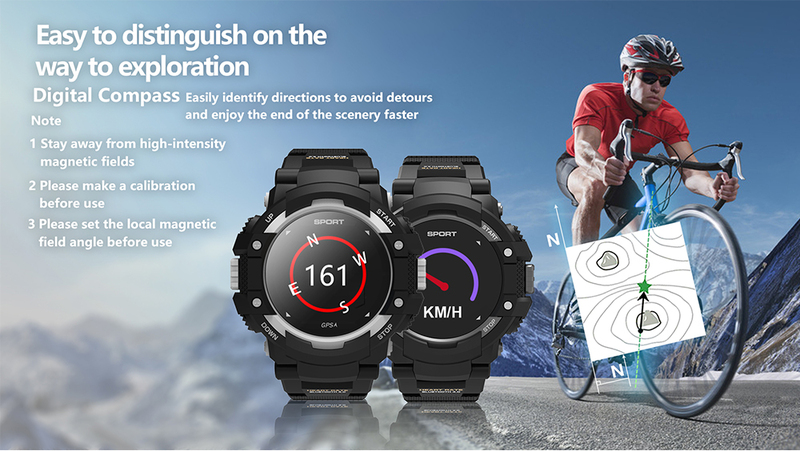 - Bluetooth push, support iOS / Android, system information synchronization, various language, Built-in GPS record, independent GPS record, real-time temperature, ambient temperature measurement, real-time height measurement. 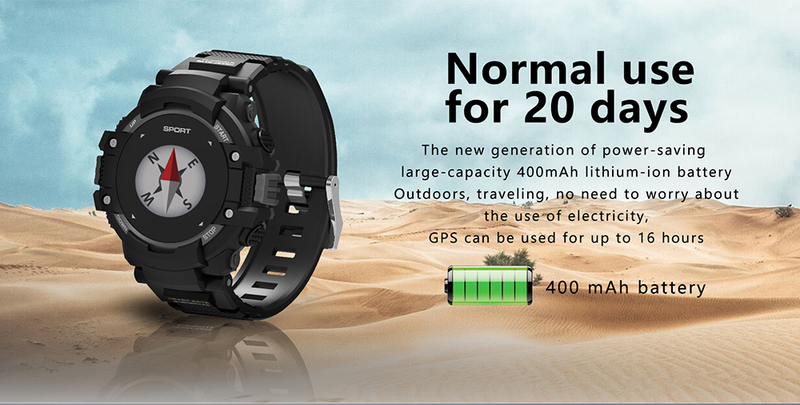 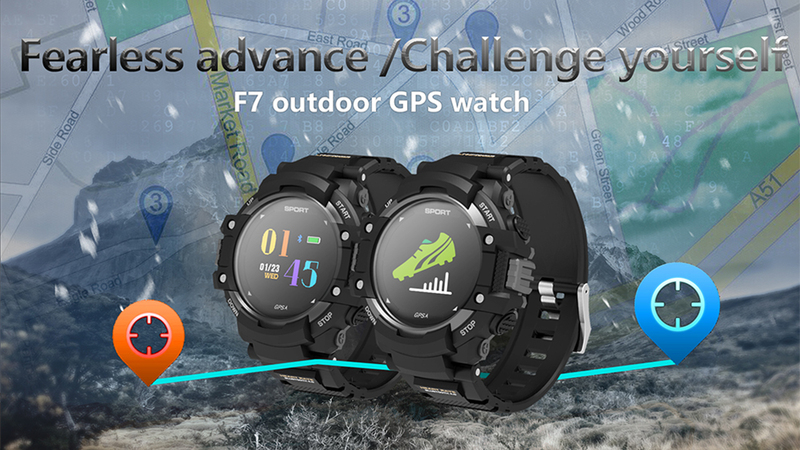 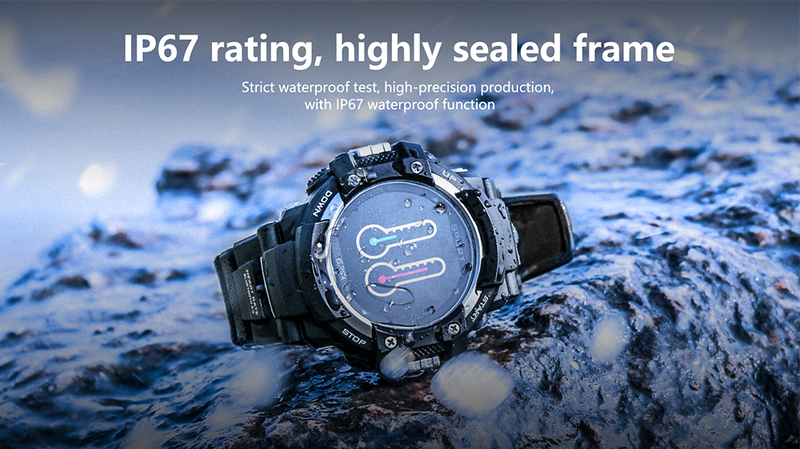 - Heart rate detection, pedometer, sleep monitoring, call alert, Bluetooth features, vibrating motor, waterproof IP67. 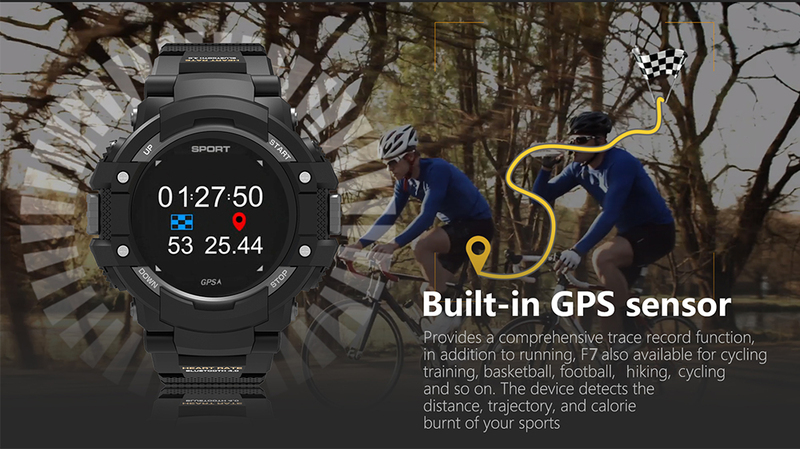 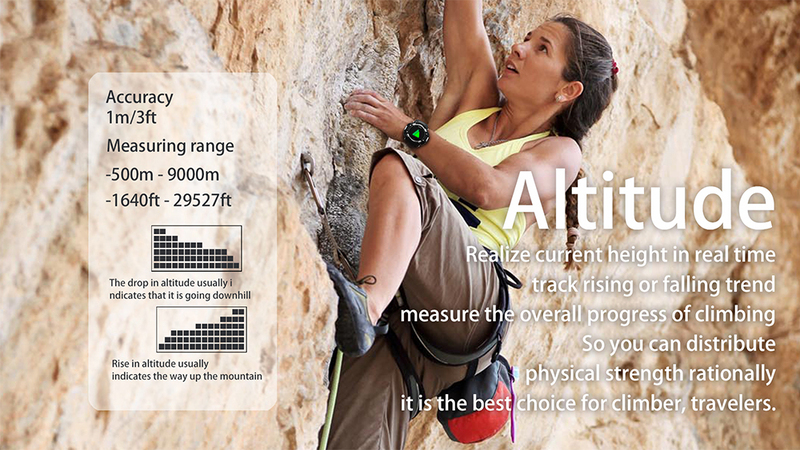 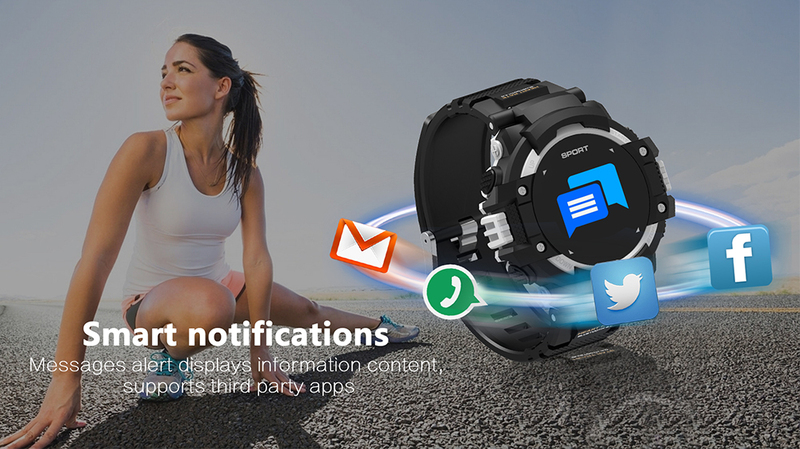 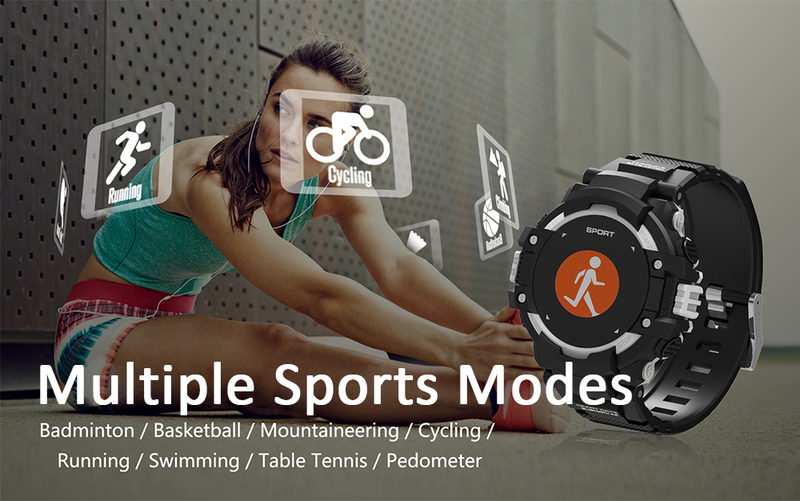 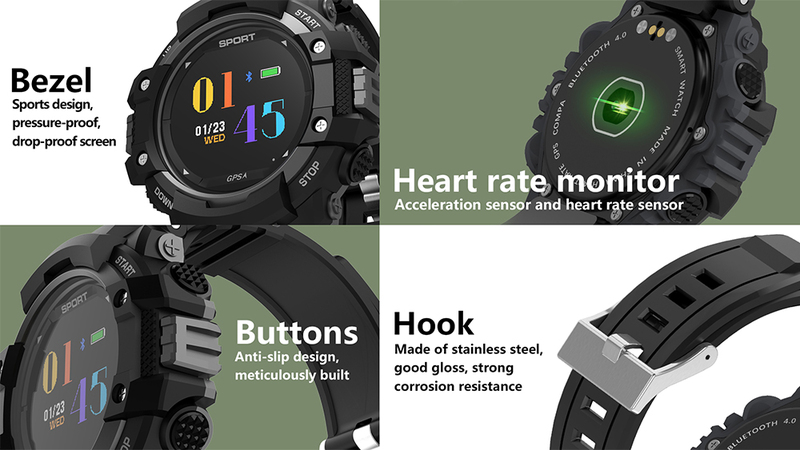 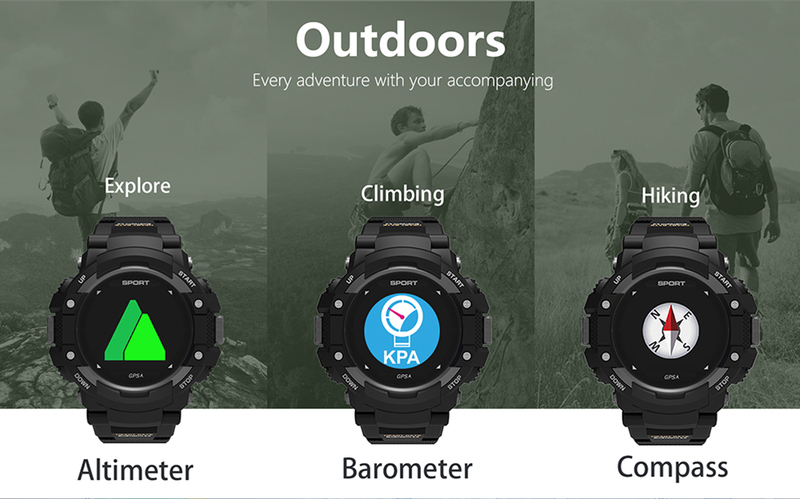 - Multiple sport mode support ( walking, running, climbing, biking, hiking ).